What are digital media buyers looking for in proposals, and what gets them to say ‘yes’? #1 Completeness — don’t expect to be considered if you neglect to provide a completed proposal with flight dates, impressions, rates and cost for all placements. 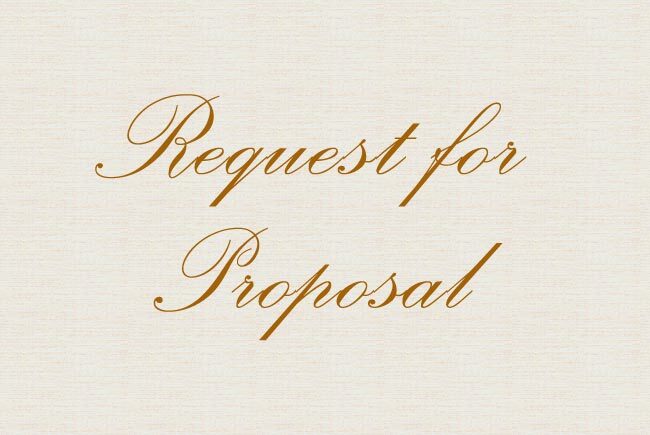 This may sound obvious, but not all proposals come through with this required information. #3 Differentiation — make sure your points of differentiation are easily identified and clear. If you received an RFP, then it is likely that your competitors have received one too. #4 Clarification — a vendor who does not ask questions is likely to be perceived as disengaged in the RFP. If you pay close attention and ask good questions, then you’ll be far more likely to address the core needs of the advertiser and subsequently have a much better chance of being accepted. In addition to these insights from Joel, I’d like to offer an observation of my own. While content is king, format is queen. Media planners have not yet embraced the applications designed to streamline digital media acquisition and ad trafficking processes, but continue on as Excel junkies suffering from spreadsheet substance abuse. So the takeaway is this — be creative and differentiate from the competition, but NOT at the expense of changing format. Make the numbers portion of your proposal fit the RFP template and it will be easier for the planner to say ‘yes’ to everything else. If this is not provided, then ask the question (#4 above) “how can I best provide you with the numbers so you don’t need to transpose them on your end?”… now you’re helping the buyer on an individual level as well. Last week, NextMark released its first data card quality report for the 2012 calendar year. This report continues to spark intense debate on the subject of data card quality, so let’s talk about it. Your comments would be much appreciated as we plan to refine the program for digital media publishers and planners. When NextMark first launched its self-service data card publishing wizard at the turn of the new millennium, the new interface was met with mixed emotions. Some media managers and list owners were excited to finally have control over their promotional content, but others were not looking forward to the extra work. This created some gaps in regards to the attention that data cards received, subsequently creating issues for researchers who rely on data cards for purchase decisions and campaign planning. To further encourage media managers to update their data cards and improve their content for researchers and campaign managers, NextMark introduced a new service on October 15, 2000 to integrate data cards on managers’ web sites. This created an even greater sense of ownership and brand awareness, but it was still not enough to address the issues of missing contact information, out-of-date counts, and other deficiencies. On May 13, 2003, NextMark introduced its first data card quality report by electronically analyzing over 30,000 data cards (currently over 70,000). For each data card, a proprietary algorithm rates the quality of 13 key attributes. The primary objective of this initiative was to make sure that data cards were complete and accurate, and there was a little improvement. On February 21, 2008, the data card quality report went public with a ranking of the top 50 managers. This resulted in a vanity check for companies that did not make the list, so a refined version was released on June 23, 2008 to categorize the top managers by number of data cards in their respective portfolios. As word got out, some good things started to happen. Data card publishers began to pay close attention to the scores and the rankings, and many began to institute best practices for timely updates and list content management. Scores have been improving ever since, but something else also started to happen. Data card quality rankings became a promotional opportunity for media managers and the scores were often taken out of context. The scoring algorithm, intended to measure completeness and update recency, grew in perception as a holistic measure for media management firms. Although unintended, this created some confusion. To keep it simple, here’s the 3 point truth about data card quality. Point 1: data card quality is independent of list quality. Point 2: data card quality measures completeness and update recency. Point 3: data card quality does not measure content quality or accuracy. You should not judge a media manager on data card quality alone, and there are more important factors to consider. 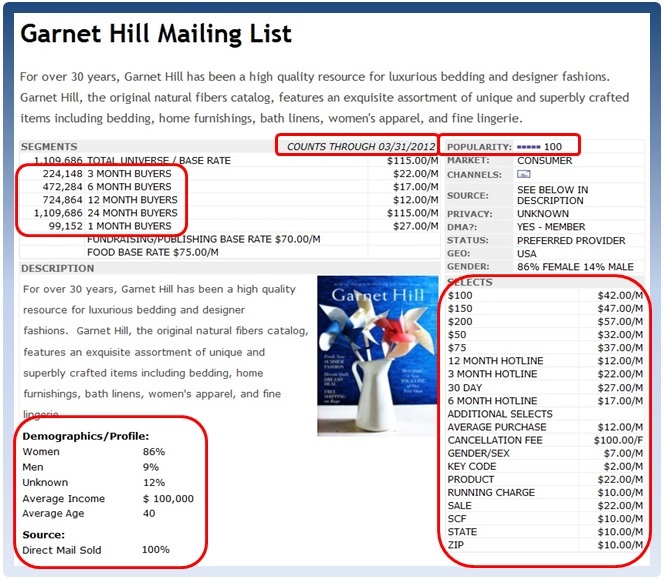 For example, take a look at the following catalog list rate card and you will notice that it has a high ‘popularity index‘ in addition to a quality presentation of the media (postal list in this case) it represents. The counts are current through the end of the most recent month, the monthly and quarterly hotlines are provided, and the average age and income is provided for the audience. It is important to also be aware of the fact that some media managers may confirm an update without actually changing the counts. 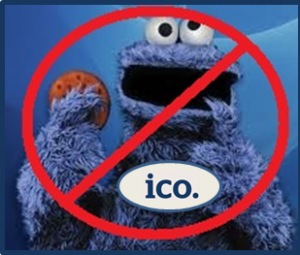 We are on to them and will flagging that accordingly to make sure our research users are aware of the difference. With limited budgets of both time and money, where can I get the most bang for my advertising buck? Business owners continue to ask this question with an increasing volume of choices powered by the proliferation of social media sites and digital advertising opportunities. Any company seeking new business today has a wide variety of media choices, from print, radio/TV, web sites and social media. Continuing research has shown that one of the most cost effective forms of getting new business is through good, consistent, targeted direct mail. Targeted direct mail lists have several advantages that make them unique. If you know your best customers, then you can use targeted direct mail to reach more of them and generate qualified new business leads. This applies to traditional brick and mortar stores, professionals, or even start up web sites. Direct mail has the advantage of being perceived as the least intrusive and therefore the most welcome type of advertising. Several studies over the years confirm that most people prefer direct mail to other types of advertising. A recent article, “The Future is Now” in the industry magazine Deliver makes a strong case in support of this. Furthermore, there is less competition in the mail box (due to increasing diversification of marketing budgets online), and this may often lift response. Unlike an e-mail or SMS text message which can be deleted by the push of a button there seems to be something about a direct mail piece, be it a postcard or a letter that conveys legitimacy on the part of the mailer and encourages the recipient to keep it. Have a clear call to action. Give your direct mail recipients a compelling reason to contact you. Make an offer they can’t refuse. Give them something such as a discount or a two for one offer — something to entice them to try your product or service. Include an expiration date on the offer. Probably the most important advantage of direct mail is the ability to precisely target audiences better then other forms of advertising. This is due to the lists and data that power its distribution to the right audience. No other channel (online or offline) has the wealth of acquisition data to drive lifetime value (LTV). Although many online advertising sources are real-time, they are often lacking in regards to the big picture of a customer’s purchase (or giving in the case of non-profits) behavior over time. You may have the most relevant message, and your printing and graphics may be the best money can buy, but the single most important element in the success or failure of your marketing efforts is your selection of the most targeted and appropriate mailing list. Targeting of your most concise audience is paramount. It many cases it is not enough to target by demographics like age and income you need to target by affinity or interest. In response to the splintering of the homogenous mass market of yesterday, list marketers have been working at identifying the moving targets and shifting trends of the market place. There are literally hundreds of different lists available to target just about any niche market or affinity group you can think of. Specialists Marketing Services recently launched a new mailing lists search portal for its Direct Data Division that provides visitors with easy access to rate cards and information about specialty lists and data. Here you can find an audience for just about any product or service. Keep in mind, you want to reach as many qualified prospects as you can without wasting your message on those who are not interested or can’t purchase your product — targeted direct mail does just that. If offline marketing with direct mail is not part of your overall mix, then you may be sacrificing LTV at the expense of impressions and clicks. An integrated approach is best. When it comes to creating quality media and list recommendations, it helps to have some context for your proposal. Every good media and list recommendation includes the following attributes: format, content, and insight. The format (Excel, PDF, or RTF) allows the creator of the recommendation to determine the level of interaction the end user may have. For example, while a PDF (Portable Document Format) may be appealing, it does not allow for easy editing and customization of the final output. However, a spreadsheet (Excel) workbook can be customized, edited, enhanced, and even integrated with other Microsoft Office programs like PowerPoint. It provides a lot of flexibility, not only for viewing but also for analysis. And of course, there is also the RTF (Rich Text Format) which is easily read by Microsoft Word. While this may be a common format among traditional direct marketers, it provides fewer benefits due to the limitations of word processing applications. The content of data cards varies due to the depth and breadth of each media program or mailing list. This creates issues related to pagination and alignment that can be more easily resolved with alternative output formats. The content options enable the creator to generate media and list recommendations that are relevant, while excluding information that may be considered proprietary from a media brokerage perspective. 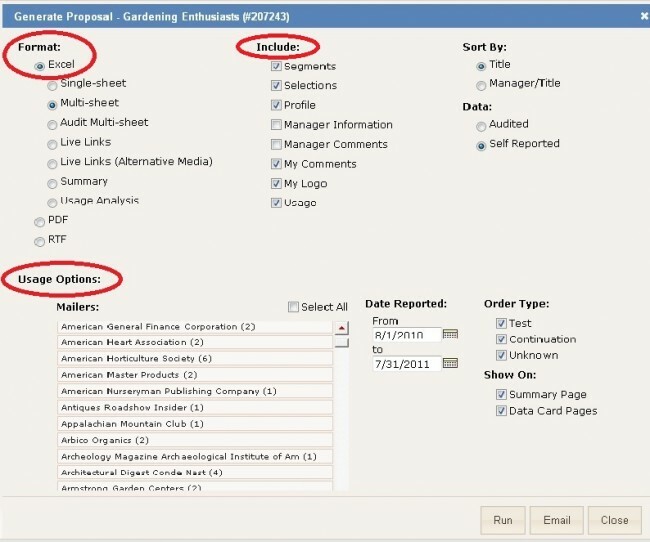 For example, a recommendation made by a list broker for a catalog marketing client may include additional segements, selects, and profile information for discussion purposes related to refinement and targeting. However, the manager information may be suppressed intentionally to keep focused on the value that the media broker brings to the campaign management process. Additional insight may be applied as well. With access to the mailer usage database, media brokers can also leverage the experiences of others and help speed up the decision-making process. It’s a great way to uncover new media to test based on what has worked for others. It is often the not-so-obvious recommendations that outperform the market average for response and lifetime value (LTV). Keep these three things in mind as a guide for media and list recommendations, but don’t feel like you need to change your personal style. What’s most important is what sets you apart as a trusted advisor for your clients. While mailing lists are the lifeblood of direct mail marketing campaigns, the data acquisition process is outmoded. Therefore, NextMark commissioned research to better understand the core issues related to list acquisition and list fulfillment. The Evolution of List Fulfillment is the first whitepaper of its kind, leveraging the combined experience of seasoned direct marketing professionals (list brokerage and management executives), with technological expertise (NextMark) and qualified third-party editorial (Ray Schultz). Click here to download your free copy of this list industry white paper. Charles Morgan, former CEO, Demographics, Inc.
Monday, December 14, 2009, Salesforcefaq.com updated a list of the AppExchange’s 10 most useful apps of SalesForce. The list provides the application name, publisher, price, and a brief description for each application. The NextMark lead finder was ranked second right behind Salesforce for Google AdWords.